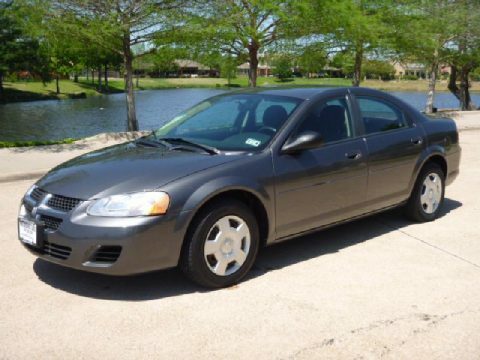 Check out this 2005 Dodge Stratus with only 139k miles. The fuel efficient and powerful 2.7L V-6 purrs and the automatic transmission shifts smoothly. This Stratus is loaded with features including power windows, power locks, power mirrors, cold A/C, cruise control, Cd player, and more! If you have been looking for an affordable sedan in great shape, then this is the perfect vehicle for you! We are the onlu independent used car dealership in Farmers Branch with an internal service department. Every one of our cars goes through a safety/mechanical inspection to ensure it is in its best operating condition. All our prices are no haggle cash prices and are typically thousands below NADA retail value. Don't miss out on this great deal - Call Metrocrest Sales immediately to schedule an appointment.